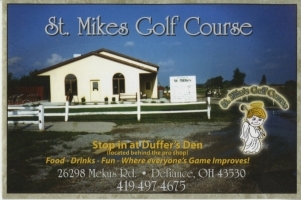 St. Mike's Golf Course, Defiance, Ohio - Golf course information and reviews. 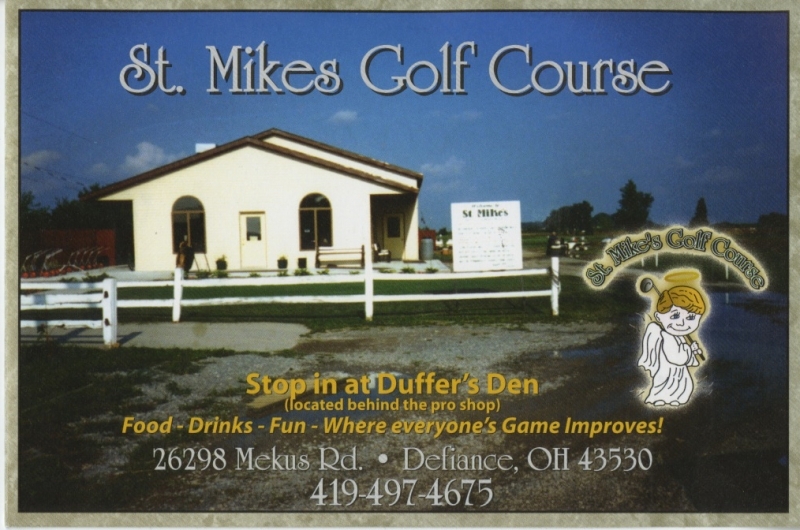 St. Mike's Golf Course was built in 1960 as a 9 hole course. 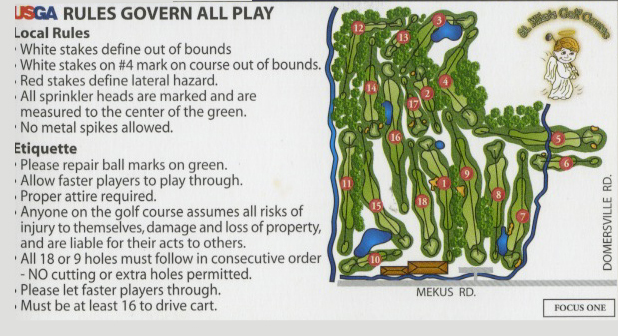 Around 1998 another 9 holes were added to the course. 6/10 - Only complaint I have is that they have no sand traps. There are "want to be" sand traps that are almost worse to hit out of then hitting out of a sand trap. 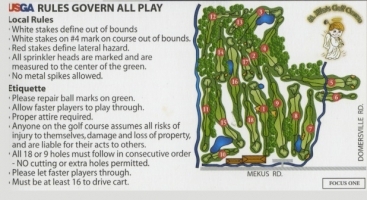 Other than that the course was in above average condition. Add a course review for St. Mike's Golf Course. Edit/Delete course review for St. Mike's Golf Course.